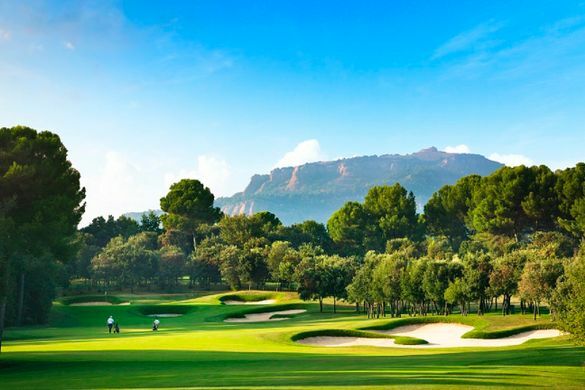 The innovative tournament, which started last week (June 29) and is played at four prestigious courses across Spain by 72 players, has prizes worth more than €400,000 up for grabs. Emerald Golf Tour’s aim is to give amateur golfers experience of playing in a professional golf circuit – with one 18-hole round also being played at Santander Golf, Madrid (June 29 and 30), El Prat (September 15 and 16) and Real Club Sevilla (December 1 and 2). El Prat, which dates back to 1912, is one of the most exclusive golf clubs having played host to the Spanish Open on 10 occasions, while also remaining one of only a small number of clubs to have been granted royal status by King Alfonso XIII. The tournament will follow an Individual Stableford format, with a €400,000 prize pot to be shared for a hole-in-one on any of the four designated par-three holes, longest drive and nearest the pin challenges. Marcello Della Vecchia, director of sales and marketing at El Prat, said: “We are very much looking forward to hosting what is one of the best amateur competitions in Europe. Golfers will get the chance to play some of the finest courses in Spain and get to experience the closest thing to feeling like a professional in a tournament. El Prat, one of the oldest clubs in Spain, has also hosted some of the biggest names in golf, including Spanish legends Severiano Ballesteros and José Maria Olazábal, eight-time Major winner Tom Watson and European Ryder Cup captain Thomas Bjørn. The 45-hole Greg Norman-designed course, which is just a 35-minute drive from the centre of Barcelona, was recently named one of the 125 Platinum Clubs of the World – Five-star Private Club – in recognition of attaining a standard of excellence by an international panel of experts, historians and connoisseurs in a confidential ballot, as well as being granted the Golden Plaque of the Royal Order of Sporting Merit. Since 2002, Real Club de Golf El Prat’s layout stretches across the 518-acre estate of BonVilar and cleverly utilises its 45 holes over an exciting and varied mix of five highly acclaimed courses – the Open, Blue, Yellow, Pink and Green. The prestigious venue has been home to major Spanish and international amateur tournaments, such as the 2013 European Amateur Championships and has held more than 250 national and international championships. El Prat also offers a modern and lively clubhouse and top-quality practice facilities, in addition to a 300m driving range and a host of specialist short-game areas. Press release written and distributed on behalf of Real Club de Golf El Prat by Azalea. Dating back to 1912, Real Club de Golf El Prat is one of the most renowned clubs in Spain and was granted “Real” or Royal status by King Alonso XIII after his visit. This famous club has hosted the Spanish Open on 10 occasions – 1956, 1959, 1963, 1971, 1978, 1981, 1998, 1999, 2011 and 2015. It has played host to more than 250 top-level national and international championship, including European Tour events, with top stars of the calibre of Sergio Garcia, Miguel Ángel Jiménez, José María Olazábal and Tommy Fleetwood taking part. The club has hosted some of the biggest names in golf, with Spanish legends Severiano Ballesteros and José Maria Olazábal, eight-time Major winner Tom Watson and European Ryder Cup captain Thomas Bjørn among its roll call of previous winners, while Masters champion Sergio Garcia and Pablo Larrazábal are both members. The current 45 holes were designed by the legendary Greg Norman over holes over an exciting mix of five highly acclaimed courses – the Open, Blue, Yellow, Pink and Green. Real Club de Golf El Prat was built on a 518-acre estate of BonVilar in 2002. The multi-award-winning El Prat was recently named as one of the 125 Platinum Clubs of the World – Five Star Private Club, as well as being granted the Golden Plaque of the Royal Order of Sporting Merit.